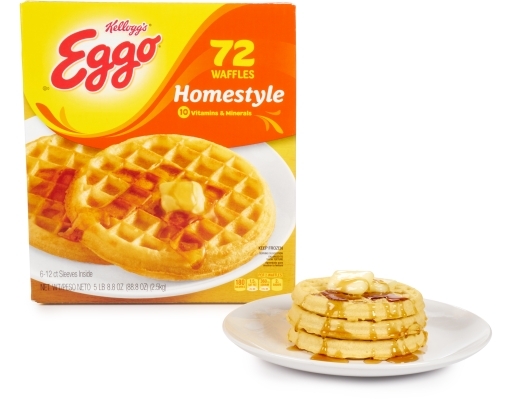 A classic breakfast food for everyone at the table. 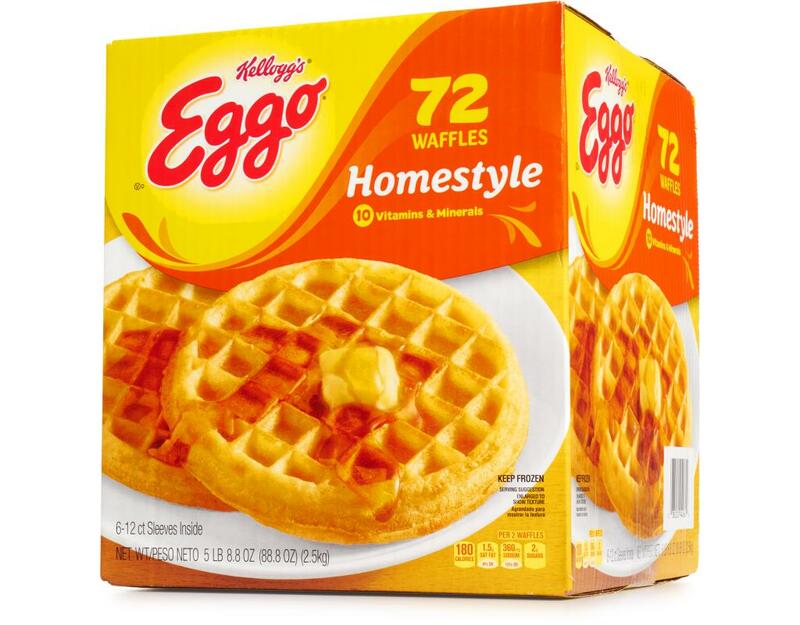 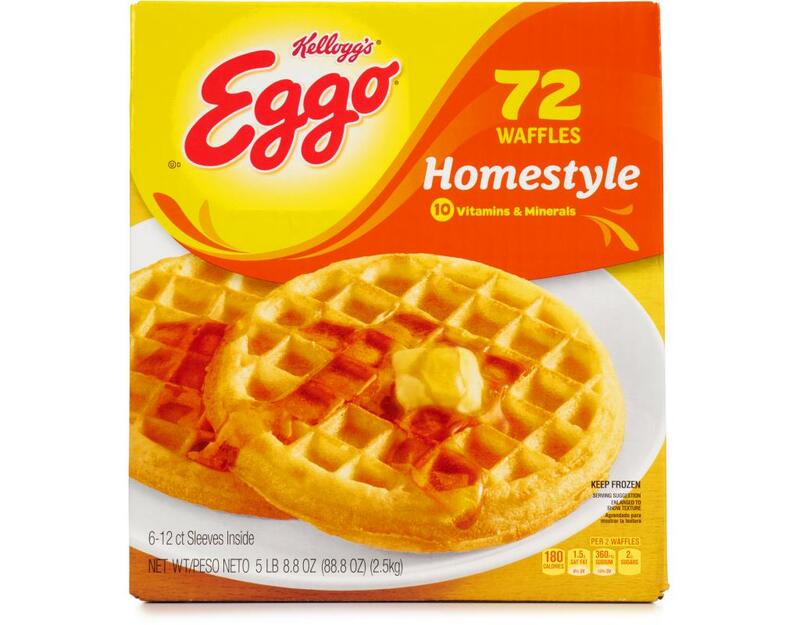 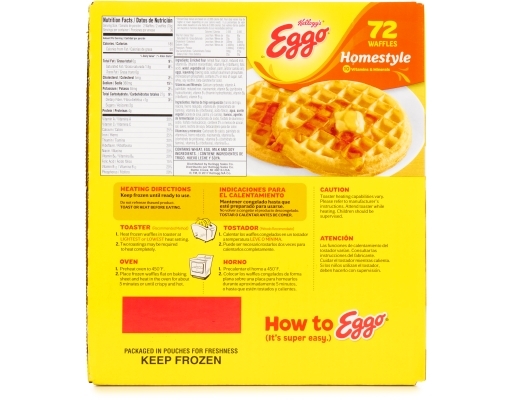 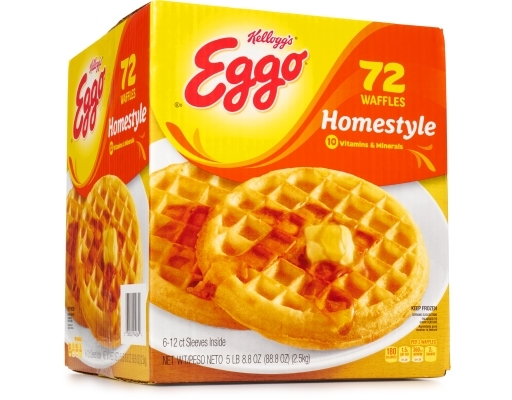 L'eggo my eggo! 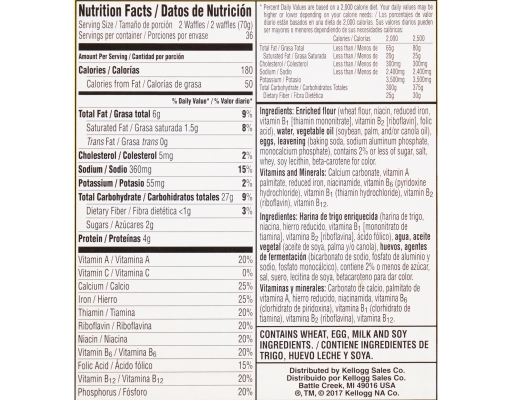 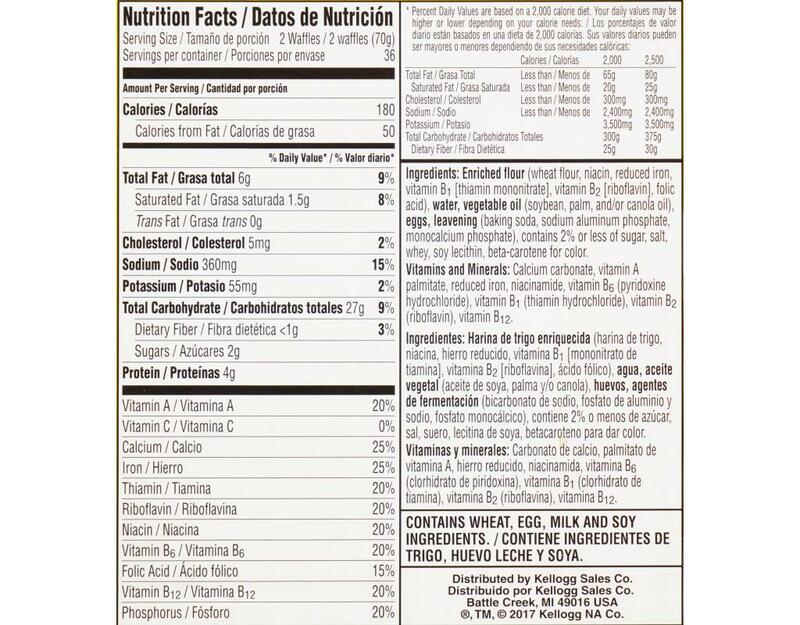 Enriched flour (wheat flour, niacin, reduced iron, vitamin B1, vitamin B2, water, vegetable oil (soybean, palm, and/or canola oil, eggs, leavening, sugar, salt, whey, soy lecithin, yellow 5, yellow 6.